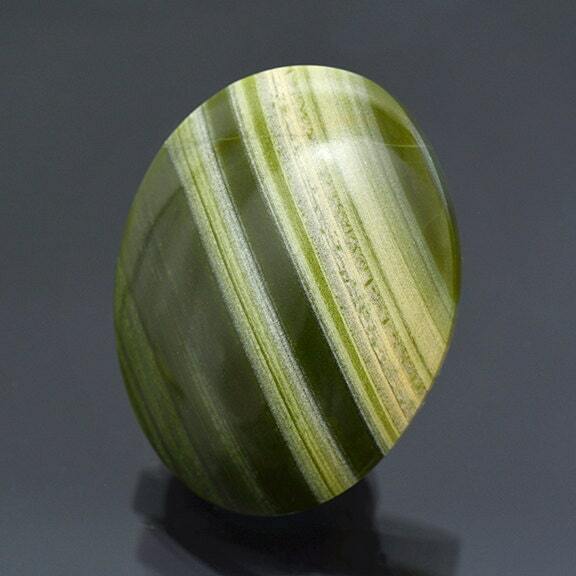 Fine Green Banded Ricolite Cabochon from New Mexico 55.97 cts. 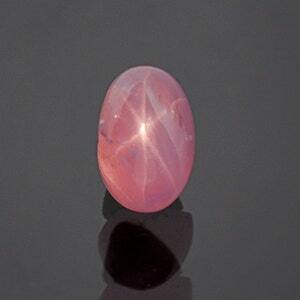 Size: 35.10 x 27.06 mm. 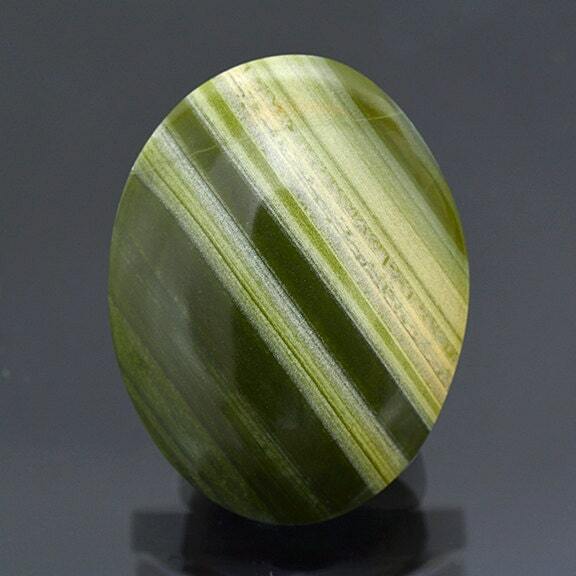 Ricolite is a type of Serpentine which is a group of phyllosilicate minerals. This composition of silicates with transitioning chemistry can create some excellent banded patterns for this material. 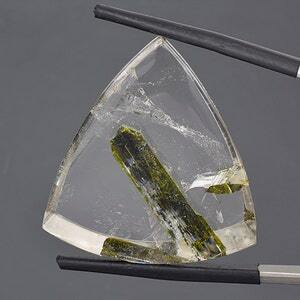 This Ricolite is famous from Ash Creek in New Mexico and always a highly desired cabbing material. 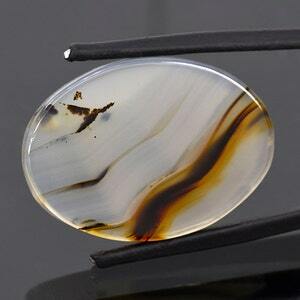 This cabochon has been cut into an oval shape that is very attractive with this banded pattern. 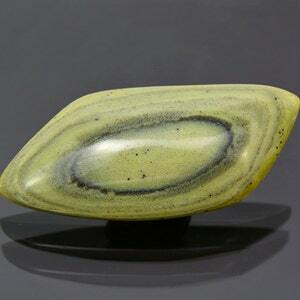 These pieces always make beautiful jewelry, and this piece will make a stunning pendant. Enjoy! 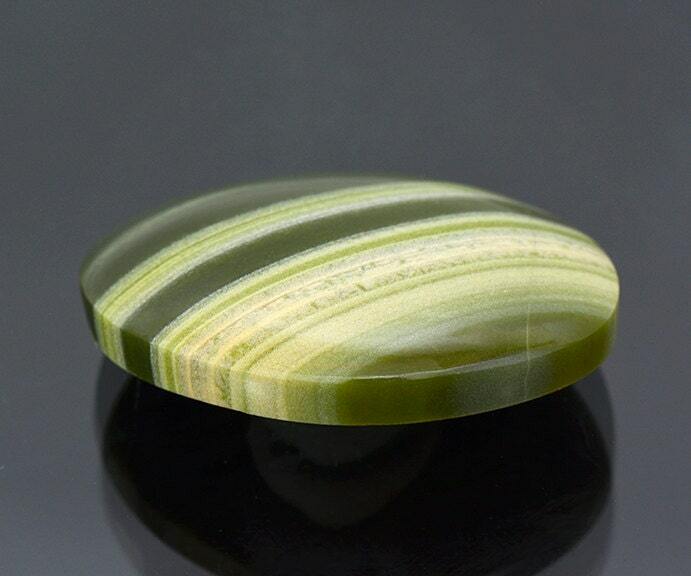 Lovely Green Banded Ricolite Cabochon from New Mexico 57.04 cts.